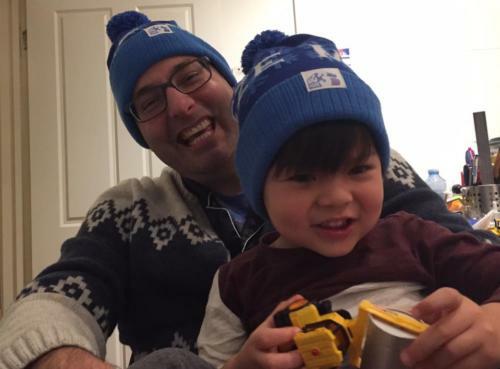 On Monday, footy fans at the MCG will don blue beanies and watch champions plunge into pools of ice, raising awareness and funds for Motor Neurone Disease. Ian Davis is the man behind the spectacle, devoting his numbered days to beating MND. Charlotte Grieve reports. While many 40th birthdays are celebrated with some form of mid-life extravagance, Dr Ian Davis’ rolled like any other day. Strapped to a ventilator and bound to his bed. He spent the occasion watching his computer as hundreds of messages poured through. “You’re a true hero” one read. People thanked him for bringing perspective and inspiration to their lives. Others vowed to keep fighting the disease that is slowly paralysing him. His birthday was last Sunday, a non-shower-day in his set weekly schedule, meaning it took his carers half the usual time, 90 minutes, to get through the morning rituals. Davis’ Motor Neurone Disease (MND) has developed to the stage where he now needs constant care. Archie taps his fist against his father’s fragile hand, before leaving with his mother, Melissa Yang, for kinder. Later that night, he noticed his foot slapping the ground as he walked. At that moment, 11 years of medical school told Davis it was serious. There is no test for MND, it’s rather a process of eliminating other conditions. After a week of biopsies, tests and scans, Davis’ fate was confirmed. Seven years later, he is now part of the five per cent of those living with MND that survive beyond five years after their diagnosis. MND is a devastating disease. It’s a neurodegenerative condition that affects the nerve cells that control the muscles that enable you to move, speak, breathe and swallow. As the disease progresses, slowly you become paralysed. Patients lose their ability to walk, speak, and eventually breathe. “The respiratory muscles get weak and you basically suffocate,” says Davis. There’s no effective treatment or cure. At each “stage” of the disease, patients must confront their reality to make a series of decisions about whether to prolong their life. To have or not to have: wheelchairs, ventilators, feeding tubes, carers, resuscitation orders. Davis says that each decision is about weighing up the quantity and quality of life. If you want quantity, you have to surrender to the disease. 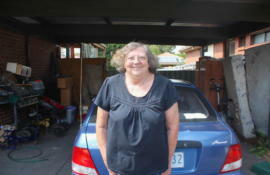 For years, Davis refused the help of carers. “I was a proud fool,” he says between deep nasal breaths. “I was a doctor working in a busy hospital. Completely independent. Fit, running every day. To be at a point where strangers have to look after you. Get you naked. Dress you. Take you to the bathroom. It’s really undignifying. For somebody who used to be proud of what I had achieved, and what I was doing. It’s a big slap in the face. And sometimes very hard to deal with. 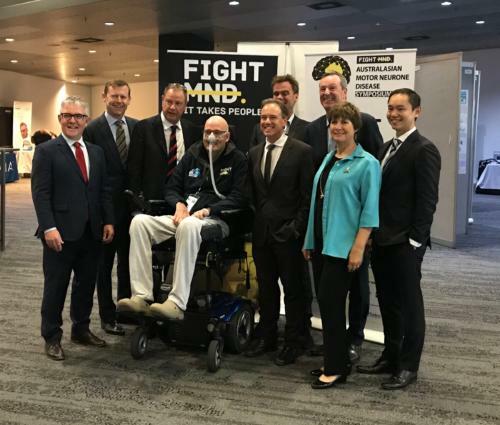 Neale Daniher, Ian Davis, Federal Health Minister, Greg Hunt wth board members of Fight MND: Australia’s largest research and awareness raising body for MND, started by Ian Davis in 2014. Photo: supplied. Upon completing his tertiary education, he began working in oncology wards while undertaking on-the-job specialist training. Sickness was familiar to him. He regularly told patients they would soon die. When dealing with life-limiting diseases, he says “there was always something in the drawer. But when he was diagnosed with MND, “there was nothing in the drawer. It was empty”. That area of research was “totally underfunded”. Research scientists were moving away from neuroscience to more lucrative fields, such as cancer and cardiovascular disease. “Scientists have to eat too,” he observes pragmatically. Davis wanted to change this. In 2014, he established a foundation called Cure for MND. It’s since been renamed “Fight MND” and has raised more than $30 million in four years. It’s now Australia’s largest research and awareness raising body for MND, working relentlessly to find a cure for the horrid affliction. 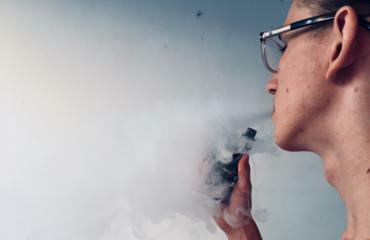 During his years at Flinders University, Davis could never have imagined that his most powerful contribution to science would be in becoming his own guinea pig. This year, he donated skin cells to a world-first drug screening program of his design. The program is currently underway at Melbourne’s Florey Institute. It uses Nobel Prize-winning stem cell technology to rapidly identify potential new drug discoveries. 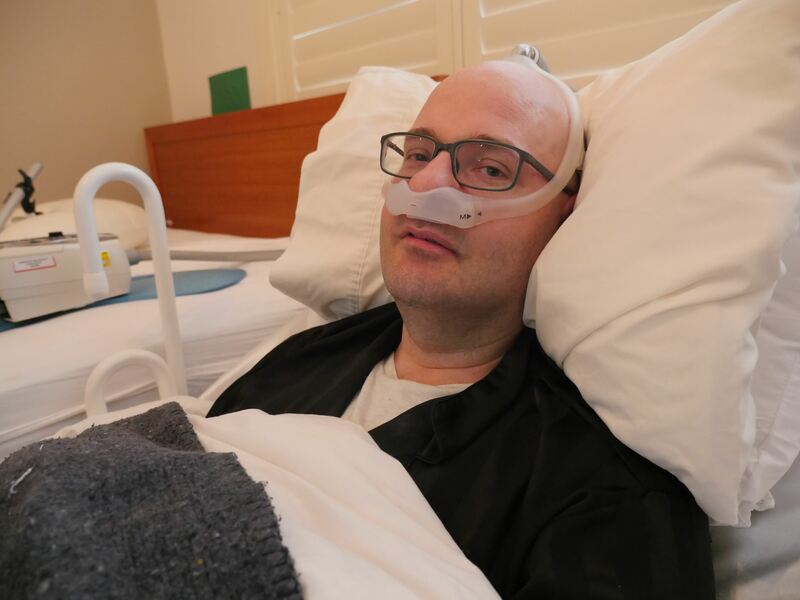 Any Victorian living with the disease – a population of around 400 people – has the opportunity to contribute his or her stem cells to the project. A specialised “robot” screens thousands of drugs per week ultimately leading researchers to being able to identify potential drug breakthroughs 160 times faster than previously possible. 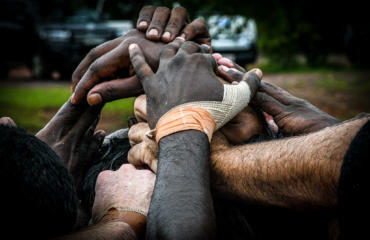 “That was a big investment, but it’s a world first. And it’s pretty exciting,” says Davis, whose foundation funded $5 million of the project. Since the beginning, Davis’ work with the foundation has been voluntary. Last year he retired as CEO but continues to lead the research arm. Using eye gaze technology, he controls a computer to read and score research proposals and coordinate the 700 patients currently on clinical trials his work has funded. Sometimes his eyes water from the strain. He’s fighting for a future that will not arrive in time for him. From the start, he’s been aware that he would never benefit personally from the discoveries of his research. But his lips form a smile under the mask of the ventilator as he thinks of what’s to come. We’ve been speaking for over an hour, but his enthusiasm does not fade. “You’ll remember the day you sat here and we talked about this when you hear on the news that there’s a new drug. You can say you knew Ian. 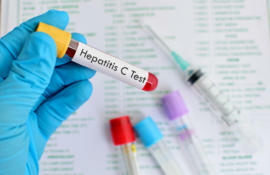 Davis’ investment in the disease has been unparalleled. 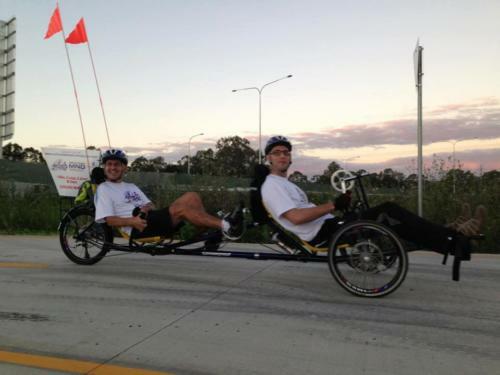 He rode 1000km down the East Coast of Australia on a tandem bicycle to raise awareness while his body was strong. He’s self-funded TV commercials and launched two fundraising beer labels. He’s teamed up with football legend, Neale Daniher, who has also been diagnosed with MND, to focus national attention on this debilitating disease. In 2012, the “ice bucket challenge” vent viral on social media. First initiated in the US by Peter Frates, a former Boston College baseball player who was diagnosed with the disease the previous year, millions of people including Mark Zuckerberg, Bill Gates and Oprah posted videos of themselves being soaked by a bucket of ice-filled water. Davis and Daniher wanted to seize on that momentum. “So that’s where the Big Freeze came from. We thought let’s take it a bit further, take it a bit theatrical, build a big pool in the MCG, fill it with ice. Then slide celebrities down it into the ice,” says Davis. This Monday, the fourth instalment of the Big Freeze event is set to be the most significant. All 18 AFL coaches have agreed to brave the ice water. The Federal Government will match donations up to $2 million. “The awareness is huge now,” he says. When asked about the most rewarding moment in his campaign, Davis pauses. Moments pass. He doesn’t gloss over the horrors of what he faces. Growing up, he never experienced mental health issues. But now, despite his achievements, he has weekly panic attacks. Despite it all, he’s not giving in. He will soon need to make the final decision faced by MND patients –to get a tracheostomy or not. A device, like the one used by Stephen Hawkins, is inserted into the patient’s neck enabling a ventilator to do the breathing. It could prolong his life by another 10 years. But with additional life comes additional cost. He presently needs carers eight hours a day, seven days a week. He receives a yearly aged care package of $35,000 from the government which covers only six hours per week. The rest is privately funded, costing upwards of $150,000 a year. The disease has put his family in “enormous debt”. A tracheostomy automatically means the patient requires 24-hour care. Davis will have to balance the pros and cons and plunge his family further into debt. “Every day costs money.” Despite all his work for his foundation, he receives no salary. When Davis’ final day does come, the man of no faith looks at the afterlife like a true scientist. You can buy a beanie and learn more about Fight MND here.